Nanette Napoleon sounds French enough. 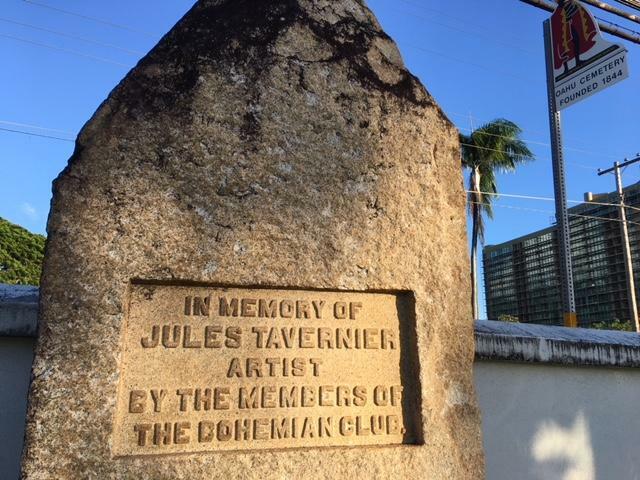 Hawaii’s cemetery historian shares with us she has family ties to French President Napoleon Bonaparte but through his brother Lucien and his time in Tahiti. But it was a visit to Pere La Chaise in Paris that Napoleon discovered her passion for places for the dead. She had just graduated from the University of Hawaii was on a backpacking trip through Europe when someone suggested she go find Jim Morrison’s grave. We spent time with Napoleon at the Oahu Cemetery on Memorial Day pouring over the Book of Record looking for the French Connections in the graveyard. She shared her memory of Per La Chaise. The Hawaiian Mission Houses is back with another season of Cemetery Pupu Theatre—what is that, you ask? HPR’s Noe Tanigawa discovered it’s a convivial evening of food, drink and stories from the past. HPR has just learned the Hawaiian Mission Houses’ Cemetery Pupu Theatre is sold out for this summer’s run. Look forward to “The Complete Works of William Shakespeare, Abridged”, a comedy which purportedly does feature everything he’s written, August 8-23, at the Mission Houses performance mound. Nearly a year ago, lava from Kīlauea started flowing towards the Big Island town of Pāhoa. The lava has since cooled, but has forever changed the landscape of the small town. 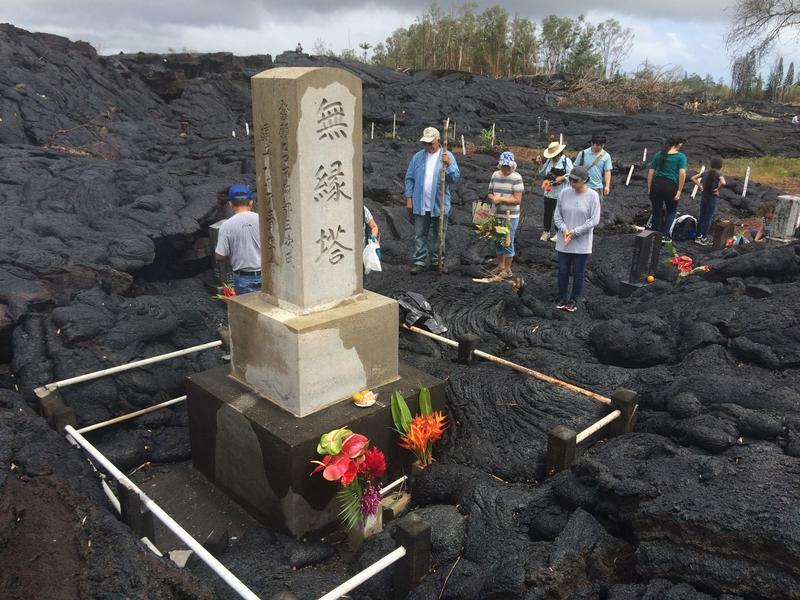 And as Hawaii Public Radio’s Molly Solomon reports, nowhere is that more apparent than at the Pāhoa Japanese Cemetery.